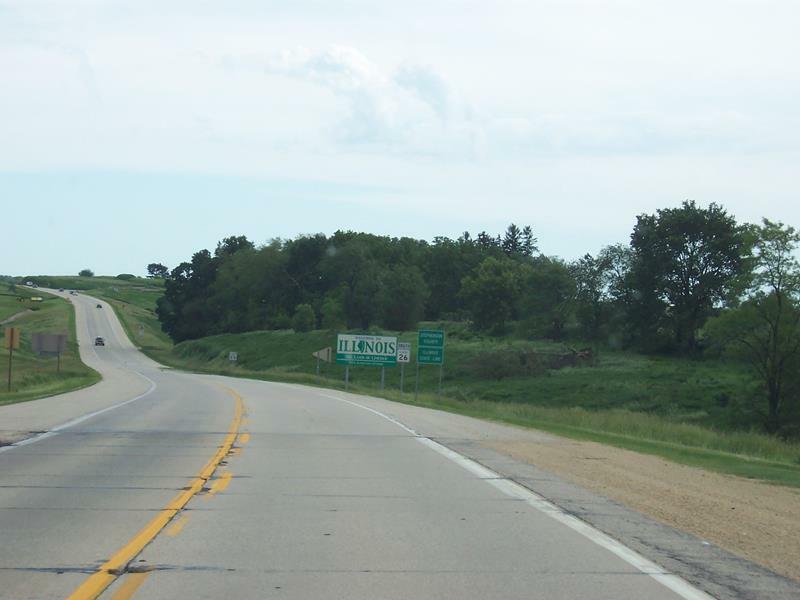 Quickie Summary: State “Trunk” Highway 69 winds through a beautiful section of southern Wisconsin, from just outside Verona through “Cheese Country” toward “Flatlander Country” (Illinois). 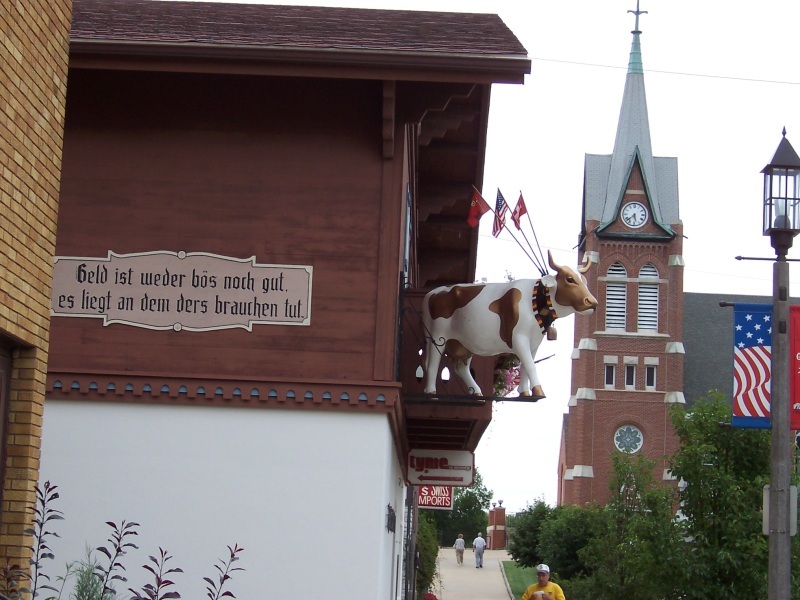 Along the way, you get to visit the incredible charm of “America’s Little Switzerland” (New Glarus) and the “Swiss Cheese Capital of the USA” (Monroe) and connect to some other great routes in this part of the state. There’s only a little over 40 miles on the whole route, but there’s plenty to stop and see. 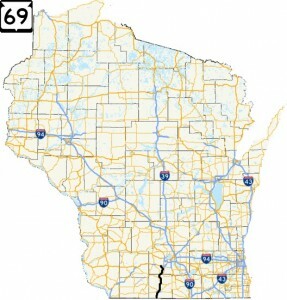 The Drive (North to South): Highway 69 begins at the U.S. 18/U.S. 151 freeway on the southwest side of Verona (pop. 7,052), a fast-growing community that’s taking in a lot of Madison commuters. Verona is named after the famous Italian city whose history includes being Julius Caesar’s favorite vacation getaway spot and, of course, the setting for Shakespeare’s Romeo and Juliet. They don’t have a “sister city” relationship, though; Verona, Italy is hooked up with Albany, New York and Fresno, California instead. Who knows, maybe that will change. 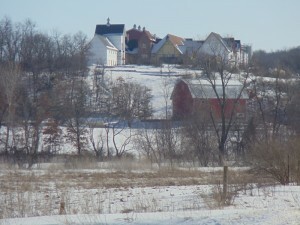 Verona lies along the Military Ridge Trail, which runs right through its downtown before heading west. Verona takes its hockey seriously: the Eagles Nest Ice Arena holds the Verona Wildcats High School home hockey rink, but is an Olympic-sized rink. They have open skating Sundays after 4pm. 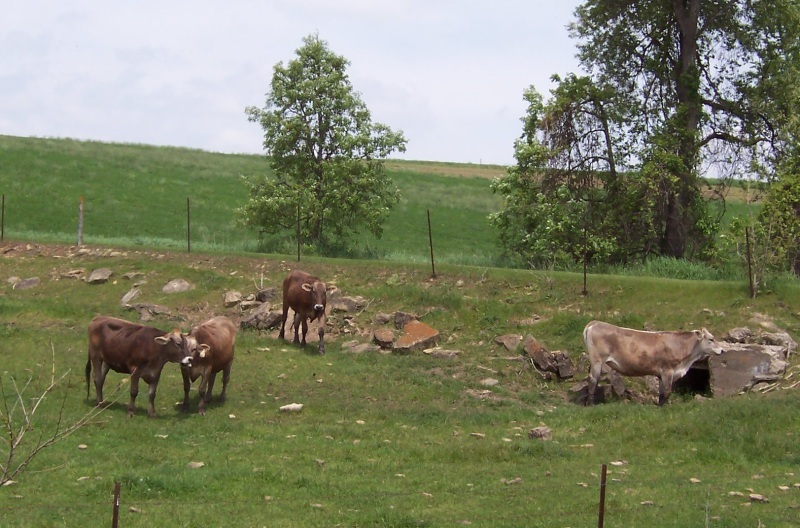 Highway 69 heads south of Verona and immediately takes you through beautiful farmland nestled amidst the rolling hills that are characteristic of Dane and Green Counties. For the first several miles you crisscross the Sugar River through the little settlements of Paoli (more on Paoli coming soon!) and Basco. Next up is Belleville (pop. 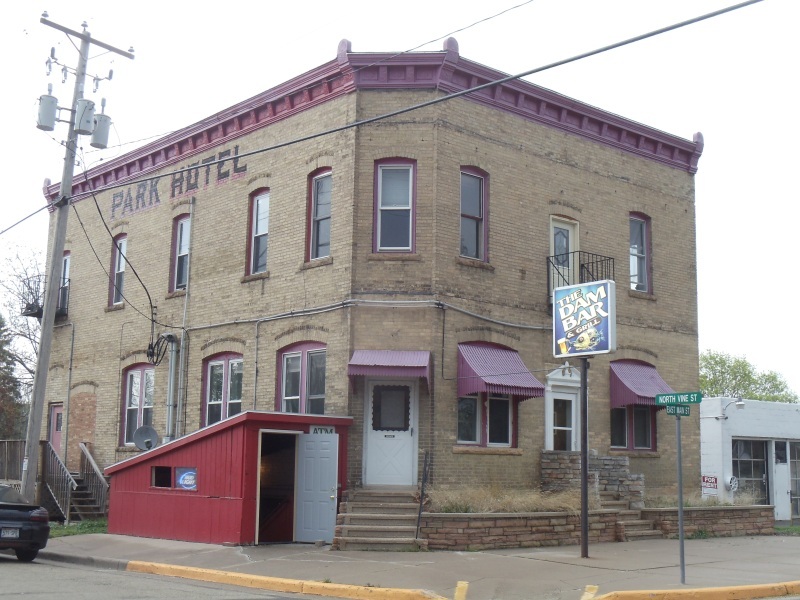 1,908), featuring a beautiful town square of sorts called Library Park, an 1888-era railroad depot, and a main street filled with shops and some interesting bars and restaurants in buildings that once served as hotels. Today, they serve local residents, road-trippers like you and I, and people making use of the Badger State Trail, which goes through town. At Library Park, Highway 69 hooks up with Highway 92 for the ride through. 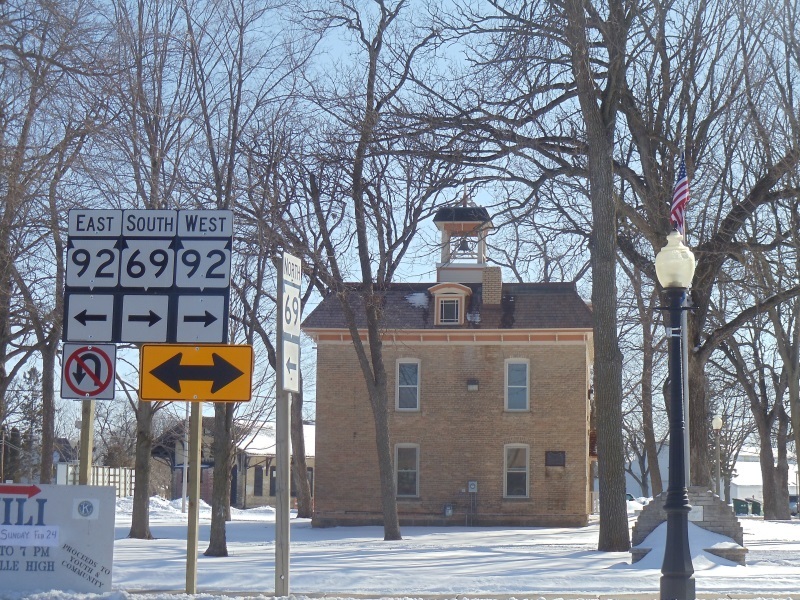 Belleville’s Library Park features the old town hall, built in 1894. 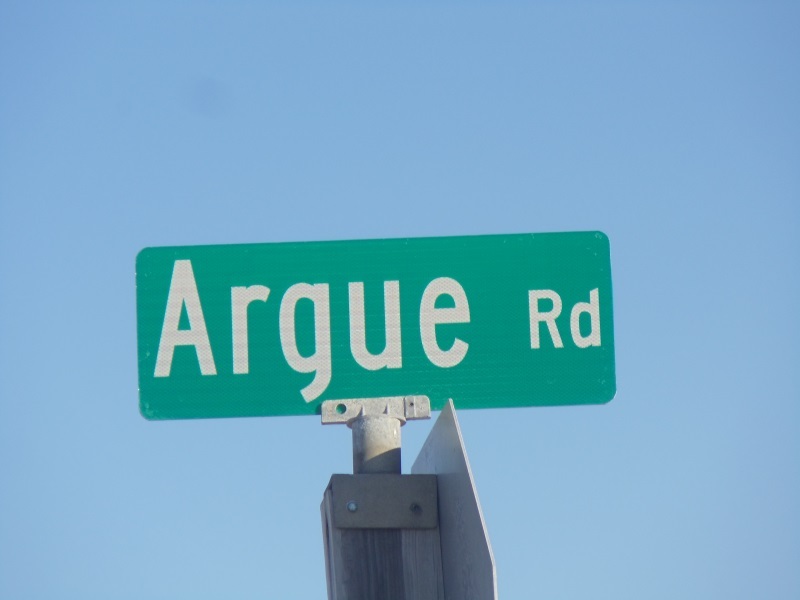 This is right where Highways 69 and 92 meet. Once carrying rail cars from Madison to Freeport, Illinois, this old trestle now carries bicyclists and snowmobilers (sometimes in the same week) over the Sugar River as part of the Badger State Trail. 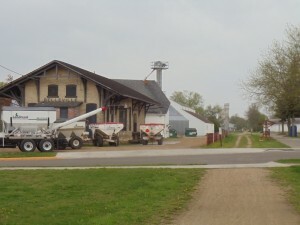 Belleville’s old rail depot, built in 1888. 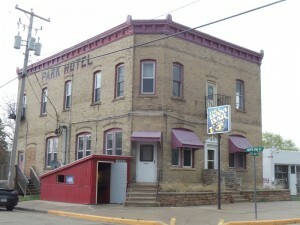 Once the Park Hotel serving railroad passengers, the Dam Bar now serves locals and trail riders, serving refreshments and sustenance of all kinds. The downtown area has a lot of cool older things to check out, including the old neon Ford sign we saw that hails from at least half a century ago (right). When this area was considered the “frontier”, American statesman Daniel Webster owned land right in town, which was then part of Michigan and then Wisconsin Territory. By 1850, the area was named “Belleville”, after Belleville, Ontario, the original hometown of early settler John Frederick. Belleville is also known for several supposed UFO sightings beginning in 1987, and commemorates them with an annual day and parade. 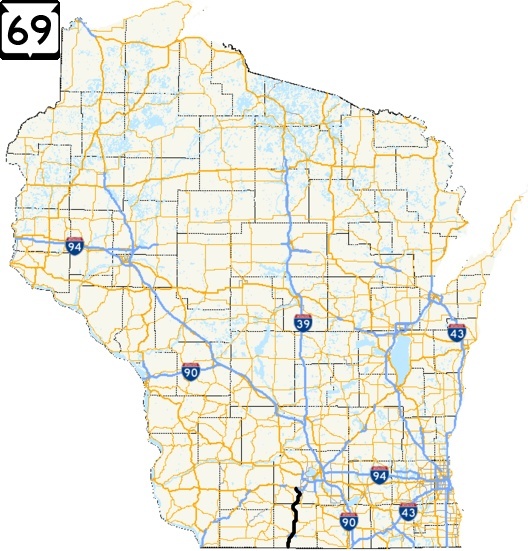 Highway 69 doesn’t want to leave Dane County right away; just outside Belleville, the road parallels the county line about a half mile north for a while before Highway 92 breaks away for Mount Horeb and you dive south through a nice rock cut into Green County. Like many counties in this part of the state, there isn’t a lot of open water; the county is 585 square miles total but only one square mile of that is water. It’s pretty much little rivers that wind their way through the landscape, and with all these hills, they have to wind a lot. This one cheesy county; co-ops and factories that produce and sell cheese dot the area and they’re not shy about letting you know they’re there. 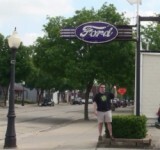 You’ll have plenty of chances to check one or all of them out along Highway 69. 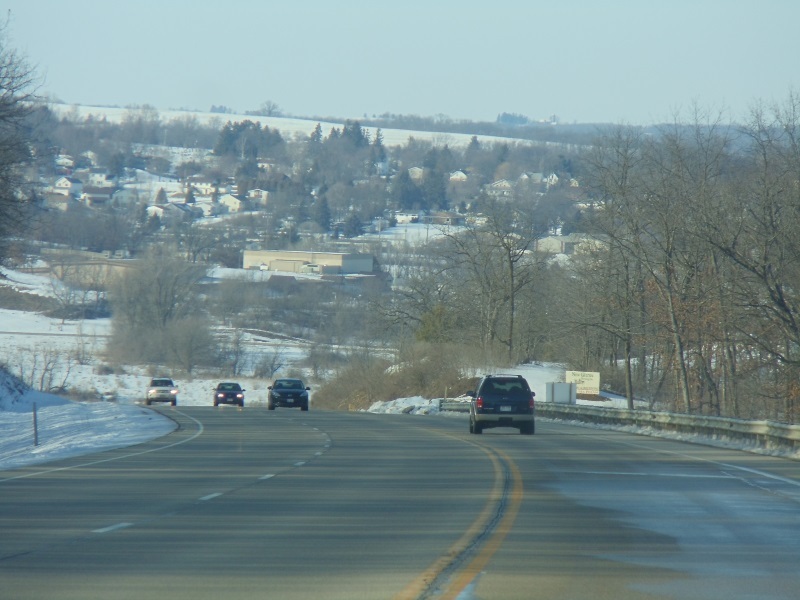 The rolling hills make for nice views in all seasons along Highway 69, like this view looking north towards New Glarus. 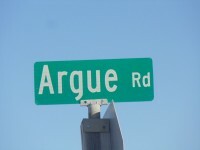 This looks like a quiet road, but based on the name, who knows? 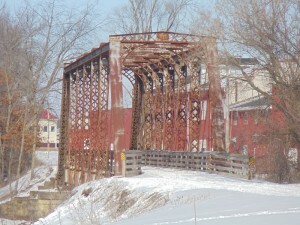 Just west of Belleville. 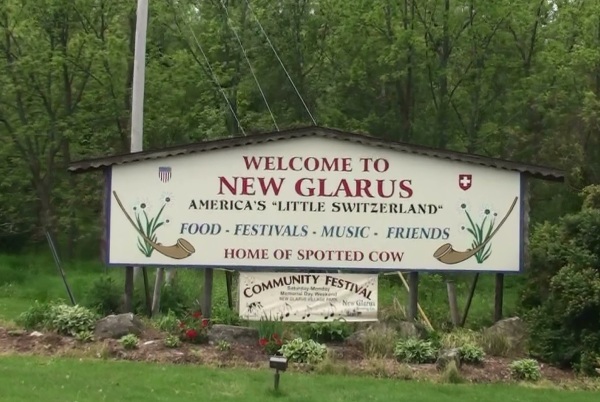 Not too far into Green County, you reach New Glarus (pop. 2,111), a city that celebrates its Swiss heritage with gusto. Named after the Swiss canton of Glarus, and calling itself “America’s Little Switzerland”, this newer Glarus retains Old World charm. The Swiss Historical Village right off Highway 69 – where State Highway 39 meets up – is definitely worth a stop. 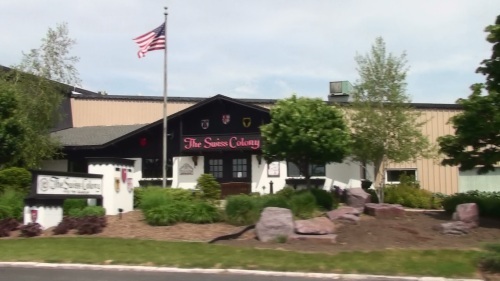 You’ll feel like you’re in Switzerland, with not only buildings characteristic of the Alps, but Swiss flags flying along with American flags. 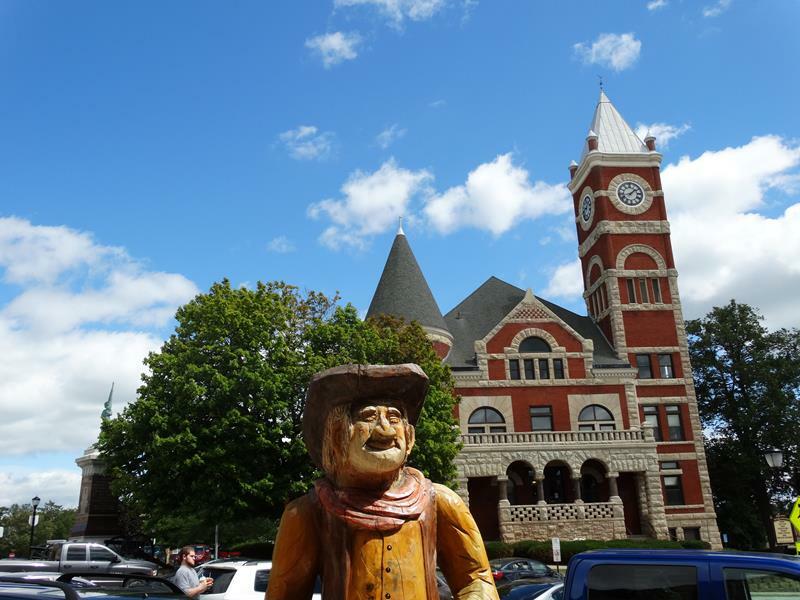 Folk art, museums, plenty of craft and gift shops, restaurants and some lodging are all to be had in an area spanning several square blocks. It seems so authentic at times, you’d swear you’ll hear yodeling any minute – and you just might. 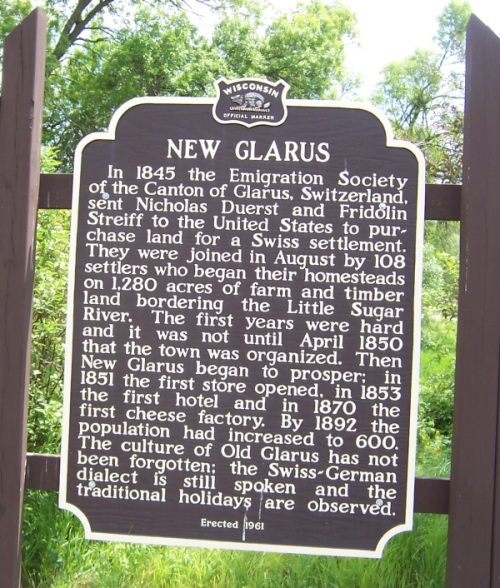 New Glarus really started because Glarus in Switzerland had fallen on hard times; so hard, in fact, that the canton loaned residents money to find land in the “New World” and settle there. Two of them, Nicolas Duerst and Fridolin Streiff, took a roundabout path but finally found this area, which reminded them of their native land. 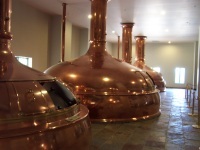 New Glarus was born. 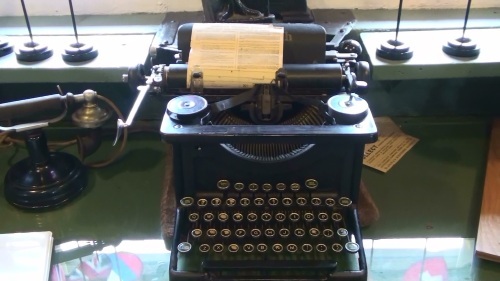 Other residents from Glarus in Switzerland followed, although some had a heck of a time finding their new settlement… communication while traveling wasn’t very good back then. 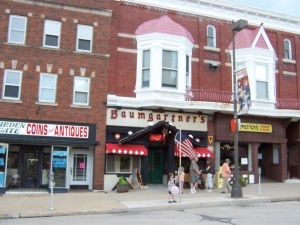 In 1905, a proposal was presented to the people of New Glarus that limburger cheese be “declared legal tender for the payment of all debts and a medium of exchange throughout the district”. 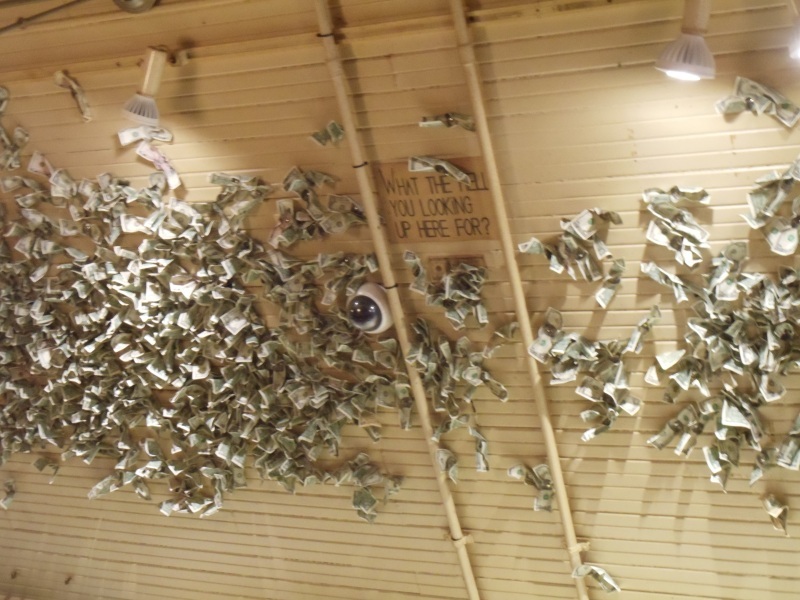 That’d be some stinky money as it passed from hand to hand – what would wallets holding cheese look like, anyway? 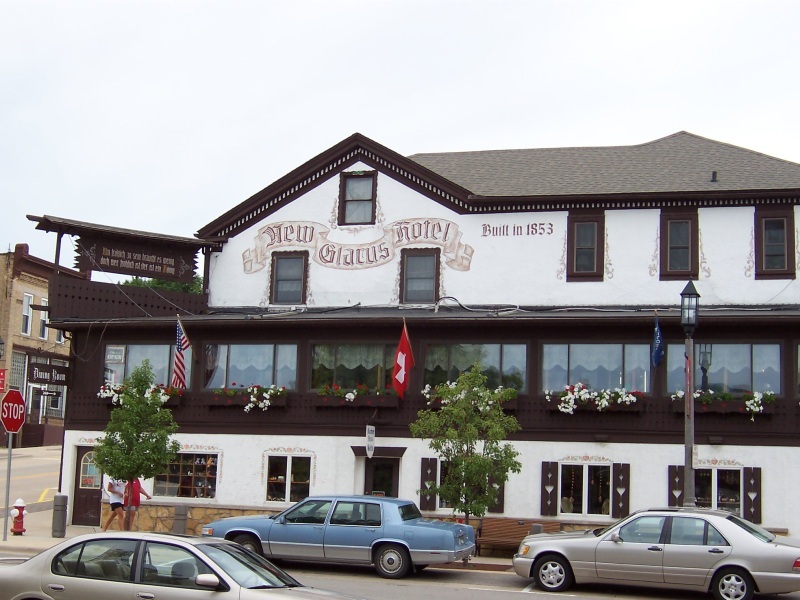 You knew this was coming… New Glarus is, of course, home to the New Glarus Brewing Company (608-527-5850), makers of a variety of handcrafted brews such as Totally Naked, Fat Squirrel, Moon Man, Stone Soup and of course, their practically world-famous Spotted Cow. 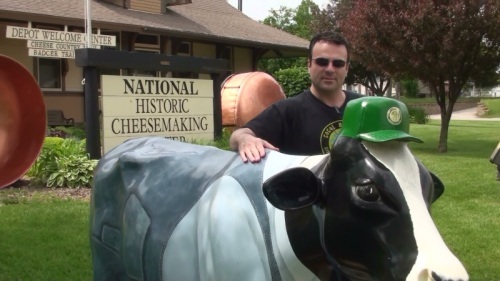 While not (allowed to be) sold outside of Wisconsin, Spotted Cow is one of those “hot” beers that people around the nation want you to smuggle out of the state when you go visit them. And if they don’t, it’s because they haven’t tried it yet. Dan & Deborah Carey founded the brewery in 1993, with Dan serving as the Brewmaster and Deborah raising the money – making her the first woman to found and operate a brewery in the United States. Growth has been the rule for New Glarus Brewery over the past decade. 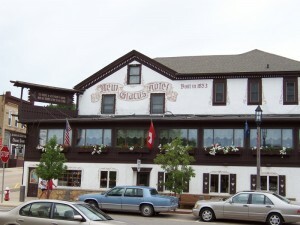 The original brewery, still in use, is a relatively small building on the north side of town, right along Highway 69. The new facility is on the south side of town, perched atop a hill and accessible via gravel road. Once you round the curves, the new facility is quite a sight. 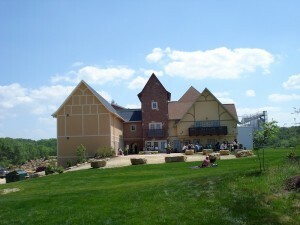 The new New Glarus Brewery facility sits atop a hill along Highway 69 on the south side of town. 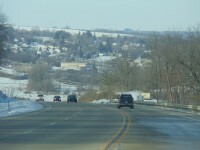 Above is a summer vs. winter look from Highway 69 in winter. 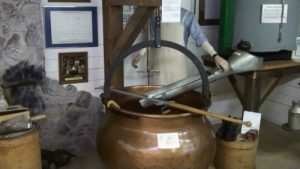 A sprawling complex with buildings that offer several different architectural looks, a little waterfall and a hilltop inside and outside “tasting area” are just some of the benefits that await you during a free tour, with our favorite type of copper kettle shot and the beautiful view of the town from the Tasting Room’s outdoor patio. 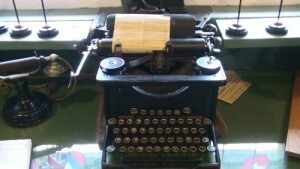 Tours are available 10am-4pm daily. 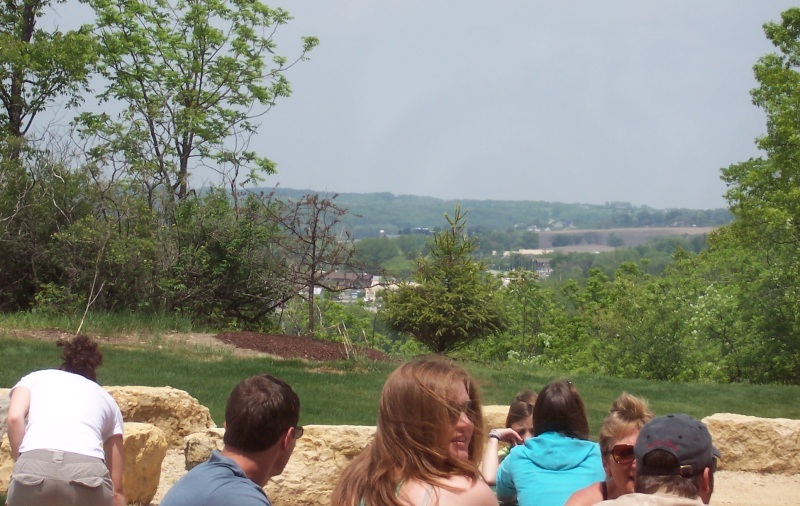 The rolling hill topography continues as you move south past New Glarus Woods State Park, which features 431 acres of camping, hiking, picnicking and, in the winter, snowshoeing. Areas of restored prairie dot the park, and in late April during the spring turkey season, hunters (including disabled hunters) can hunt wild turkeys. However, drinking Wild Turkey in the park is strongly discouraged. If you’re from Switzerland, this area will look like home to you, which is probably why Swiss settlers decided Green County was the place to be. 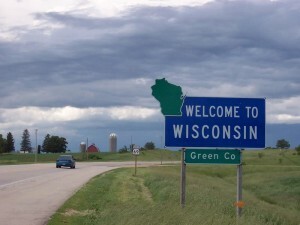 I’ve been to Switzerland; minus the Alps part, it sure looks like this part of Wisconsin. 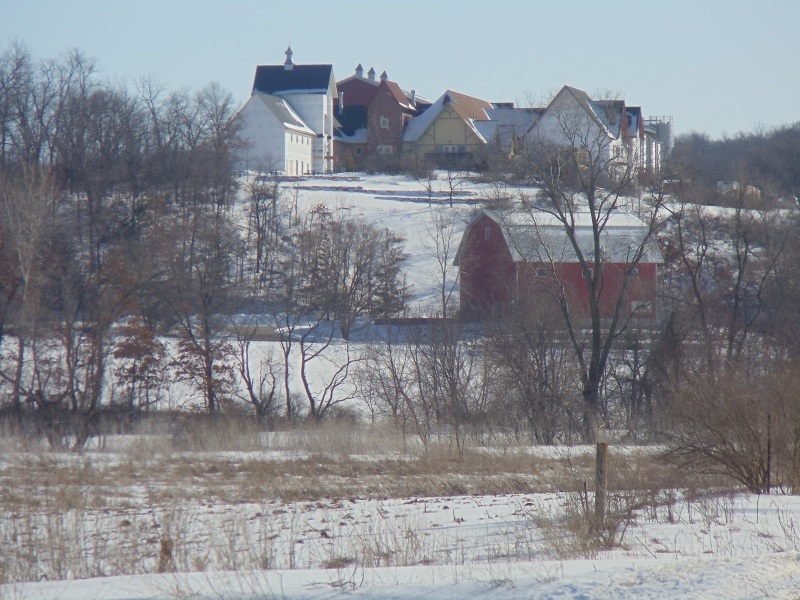 A series of farms, mostly dairy, dot the landscape as you reach Monticello (pop. 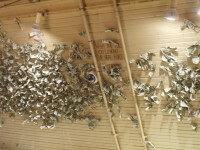 1,146). 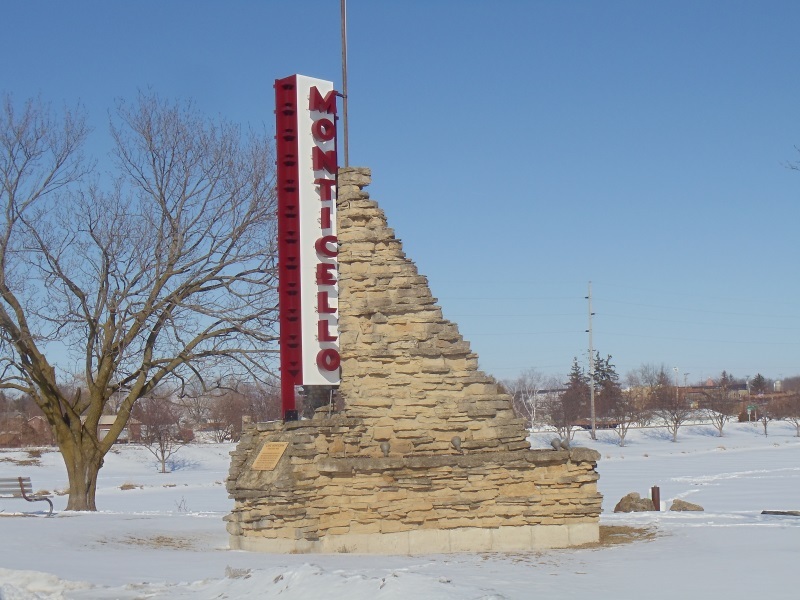 You’ll know the village because it announces itself with a tall limestone sign and little Lake Montesian, which separates Highway 69 from the heart of town with both water and the Montesian Gardens, a nice community garden with a variety of blooming plants. Monticello also holds the Green County Vietnam War Memorial. 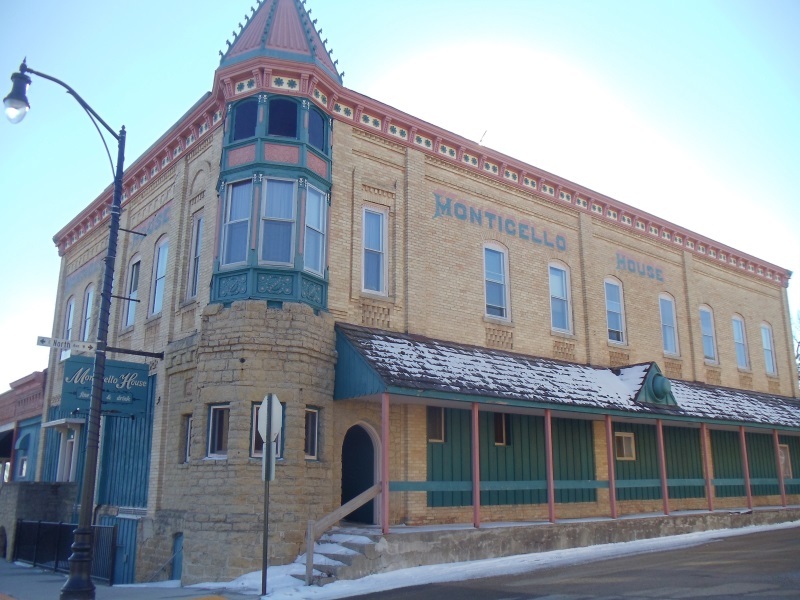 In the middle of Monticello, just down one of the streets, you’ll find access to the Sugar River Trail, the Monticello Area Historical Society Museum (204 N. Main, 608-938-4216), several B&B’s and two cheese factories: Silver-Lewis Cheese (W3075 County EE, 608-938-4813) and Swiss Heritage Cheese (114 E. Coates, 608-938-4455). 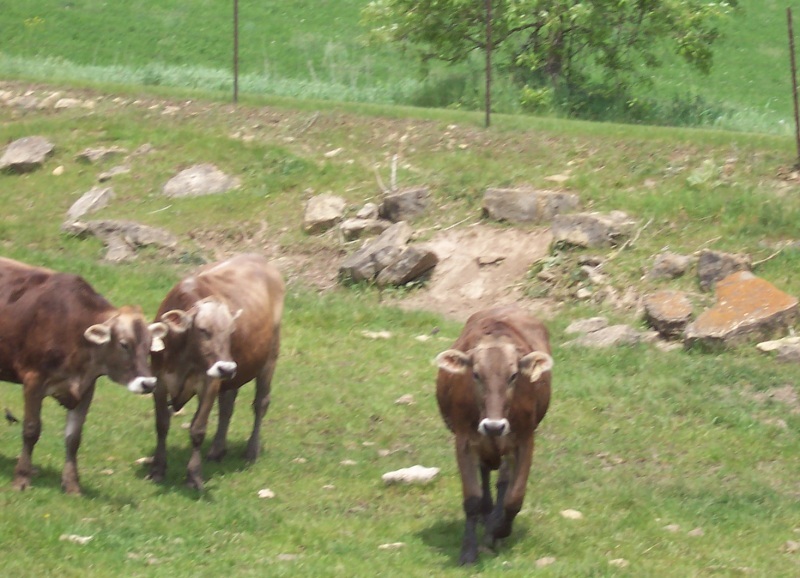 Just south of Monticello, we ran across these handsome guys (above). Chewing away on grass, we definitely caught their attention. At right, one of them looks prepared to charge while the other two seem to be egging him on. The beautiful rural scenery rules for the next 10 miles or so, and then you reach the outskirts of Monroe, first noted by the Highway 11 Bypass, which also carries Highway 81 here. A north side bypass of Monroe was built around 1980 to carry Highway 11 and 81 around town; Highway 69 joins this bypass for about a mile before leaving and heading south along the western side of town as 7th Avenue. 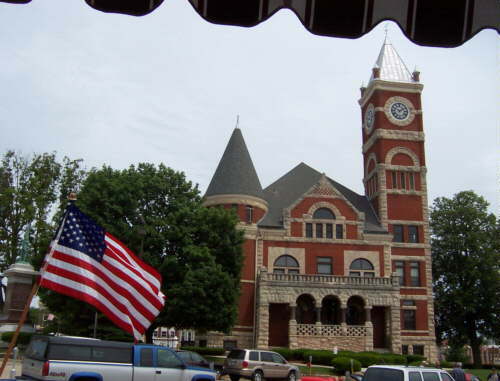 The Green County Courthouse in Monroe, surrounded by a bustling town square. Highway 69 used to come straight through town; it now angles around on the freeway bypass and skims the west side. But you should definitely check out downtown. Out of downtown and re-joining the current Highway 69, which doubles at 7th Avenue, you skim the western end of Monroe. Definitely worth checking out is the Monroe Depot Welcome Center, part of Monroe’s original train depot. Outside, you’ll find the charm of a train station, a fiberglass cow and some large copper kettles. 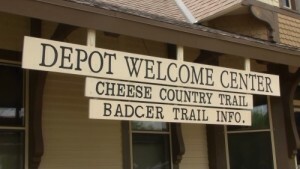 Inside, you’ll find visitor information, the National Historic Cheesemaking Center, which has plenty of old tools cheesemakers used dating back to the 19th century, and original train depot materials, including old schedules, an original bench, photos and more. Past Monroe, it’s open (and continued pretty) countryside as Highway 69 makes a beeline south to Illinois, where it connects to IL Highway 26 on its way to Freeport, Illinois. 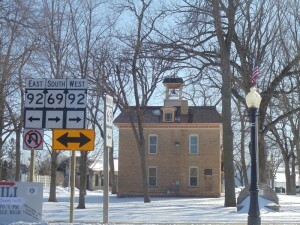 South of Monroe, Highway 69 ends at the Wisconsin-Illinois state line. The road continues to Freeport as IL Highway 26. The better welcome sign is this one, kicking off the northbound 69 ride from here, through Monroe and New Glarus to Verona, just outside of Madison. It’s a great, short drive!